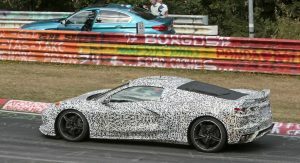 If the latest reports prove to be accurate, the upcoming C8 Corvette -the first generation since 1953 with the engine in the middle- will come with a $169,900 starting price in one of its versions, probably the range-topping one. 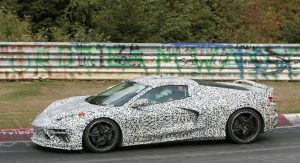 That is arguably a very serious -if not outrageous- amount of money, especially for a Corvette. 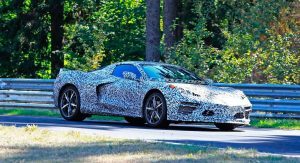 Historically, the Corvette always offered one of the strongest values in the sports car world, featuring performance that’s comparable with much more expensive models, usually from the other side of the pond. 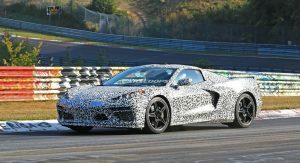 But the arrival of the mid-engine Corvette will signify the beginning of a new era for the American icon, bringing -or at least expected to bring- supercar levels of performance to the table and as such, pricing must inevitably go up. Therefore the $170k price tag doesn’t sound so unreasonable, if of course is combined with the new range-topping twin-turbo V8 engine. 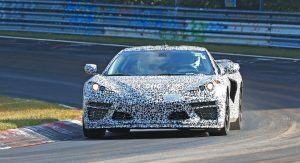 Speaking of engines, the C8 Corvette is expected to be offered with three, or even four powertrain options; base models will be powered by an updated 6.2-liter LT1 V8 with around 500 hp while the more expensive versions are set to get a new flat-plane crank V8 in both naturally aspirated and twin-turbo versions, featuring 600hp and 800hp respectively. 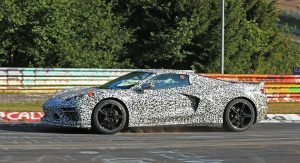 As for the fourth member of the range, rumors suggest that GM is planning to add a front-mounted 200hp electric motor to the twin-turbo C8 Corvette, making it effectively a 1000-hp all-wheel drive monster. In that respect, having 1000hp -or even 800- for $170k sounds pretty good value in our ears, so let’s dive in and take a closer look at the competition in that price bracket, shall we? How much technology can you cram into a supercar? Well, if you’re Acura then quite a lot. 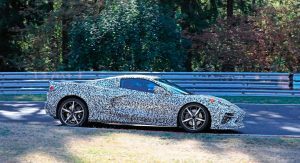 The twin-turbo 3.5-liter V6 is combined with three electric motors, making the NSX basically an all-wheel drive rocketship, both on straights and on tracks. Audi’s halo performance model has proven to be one of the most exciting supercars in the market, offering superb performance together with a million-dollar soundtrack, courtesy of the market’s only naturally aspirated V10 engine. 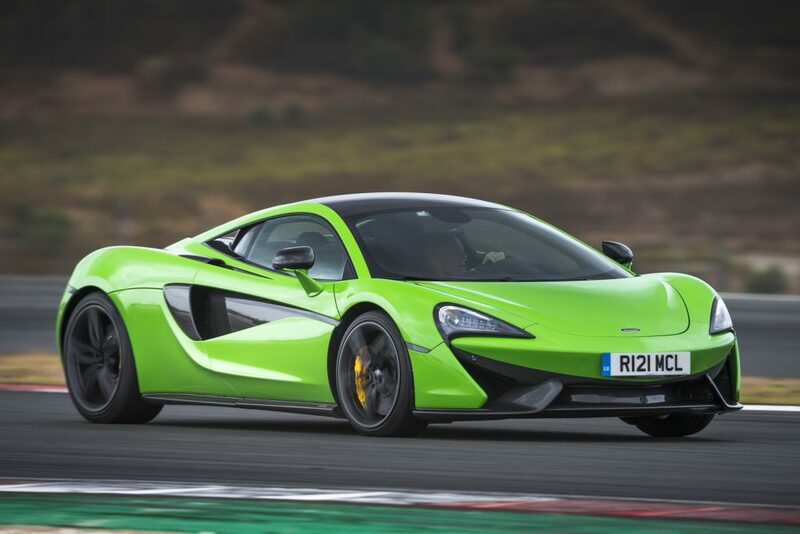 McLaren’s “entry-level” model is easily the most expensive in this group but let’s face it; there are people out there willing to shell out the extra cash in order to have a carbon-chassis mid-engined supercar with the McLaren badge on it and who can blame them. 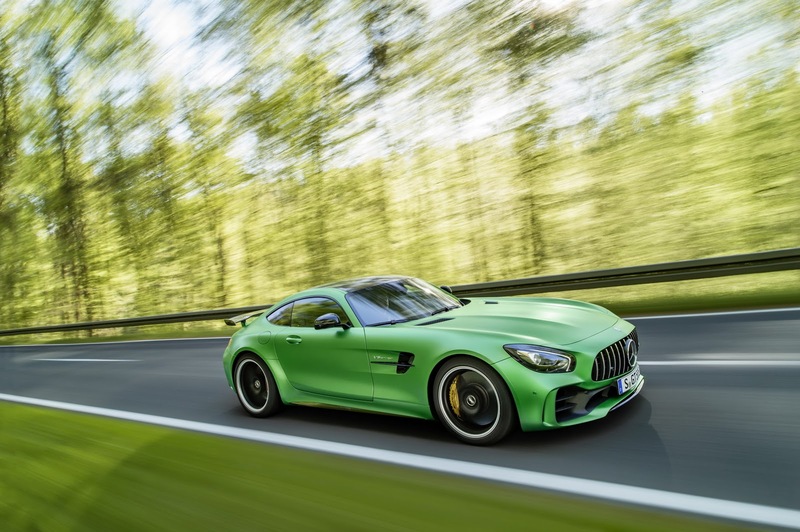 The only front-engine car of this company is the Mercedes AMG GT R. The German hot rod has the focus and the speed to be compared with much more exotic -i.e. expensive- stuff, as proven by its lighting-fast lap times on the world’s most challenging tracks. The 911 Turbo is the Swiss Army knife of the sports car world, period. 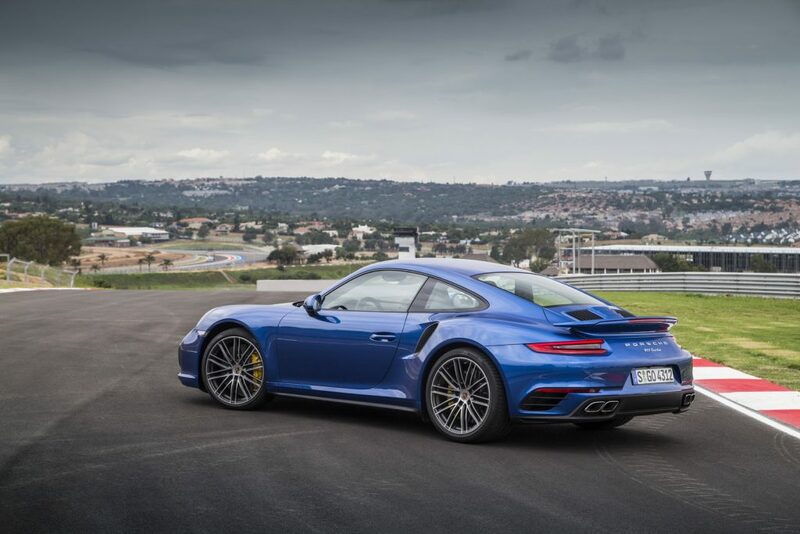 It might not be the sharpest 911 -that’s a job for the GT models– but that doesn’t stop the Turbo from offering world-dominating driving pleasure and mind-boggling levels of performance, whether you’re on the track or on your favorite back road. Not feeling like driving fast today? It’s ok, the 911 Turbo can also become a relaxing GT, offering good ride quality, great visibility and plenty of comfort for your daily driving duties. 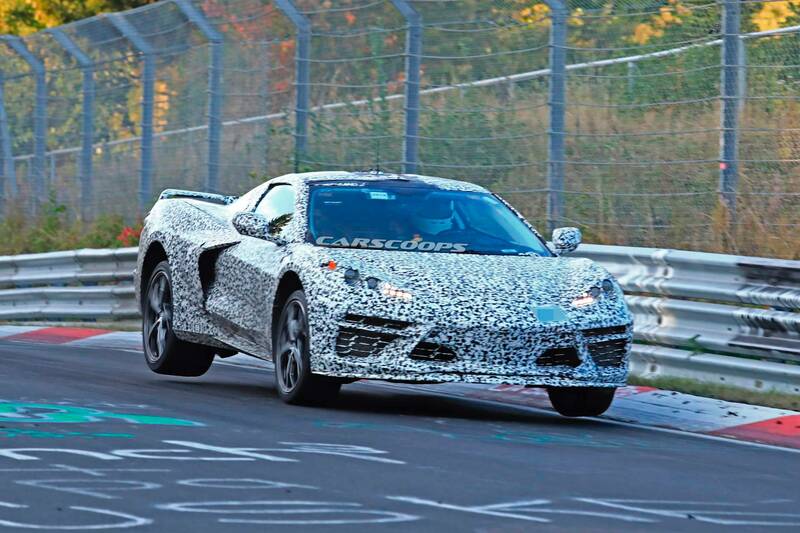 Considering the ZR1 is already over 120k, I don’t see how this comes as a surprise to anyone. This will have a much higher performance potential than ZR1. I don’t get why people are moaning about it being so much for a Corvette. 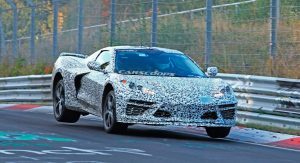 What about Ford GT that makes it justifiable charging 500k but less than half that for a Corvette, that will probably smash the GT in every way, is too much? There’s nothing really groundbreaking about GT with it’s puny V6. 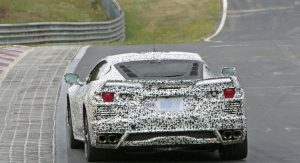 This Corvette on the other hand will be making history. Having owned Corvettes I perhaps can explain why all the groans. The build quality ( i.e. the interior) has never been great…even with the improvements as of late. They just don’t hold up well….and that includes even the carpeting! The FRP body flexes, requiring special care for body panels. They move and have to be torqued down every now and again. 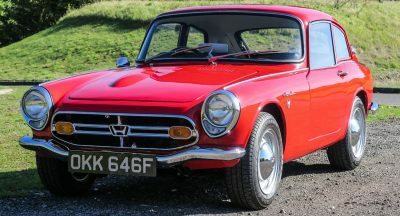 Owners may be willing to put up with these eccentricities because of a ridiculously low price for performance and simple, low-cost maintenance. At $170k…all of that goes out the window. Sounds like a loser at that price. I think the Ford GT is a limited run correct? Corvette averages about 30 thousand a year, I believe. The GT is a limited run and comes with many very specific caveats should someone want to buy one. Do you own a C7? C6 and C5 before that. I had a 2016 C7, and never thought of myself as a Corvette guy, but I loved that car. 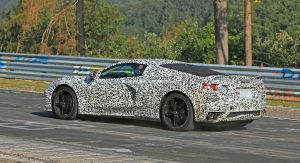 I worked with several Corvette clubs and the members who got the new C7 said it was a superior car in construction to the C6. I had mine for 3 years and barely any noises arose. A little noise came from the targa top but I had that on my NSX. I highly recommend the car. The prices you can get for a low mileage used one is ridiculous. Each generation is superior to the last. I had my C6 for 10 years. Got a good price for it. Loved the car. But the material quality I referred to is a problem. The drivetrain and suspension are wonderful. Solid as if from billet. .with the exception of the LS harmonic balancer issue. Basically trouble free for 10 years. Maintenance is a breeze and performance is terrific. I checked out the C7 and aside from the Transformers look, the interior quality was better, but not by much. Look, I loved the cars, but at 170k? The price is not official nor has it been confirmed. It’s just a rumor that has been pushed by one guy on a forum and this site is running with it. 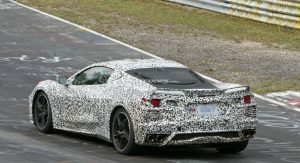 Sorry, but if Corvette goes away from fiberglass maybe then it would have a value to support this price. Also, Cor ette build quality and materials are suspect. Worth is more than just throwing a big engine in. “Worth” is intrinsic, subjective, and is only what someone is willing to pay for it. Should the car not sell at the number they set (though it will) only then Chevy will need to re-evaluate their position and adjust accordingly. It’s not going to be $170k. This is all based off of ONE rumor but some guy on a Corvette forum. Don’t jump to conclusions and start speculating without the full details. Where is the integrity? Just a bit outside of my price range. just a bit plus for that price i dont want to see 1 piece of plastic anywhere on it. Go with the McLaren 570S. If it is $170,000, which I don’t believe BTW, it’s DOA. The Corvette name plate cannot compete in this price point. Where exactly did this price come from besides thin air ?? If no legit sources why is this even a story ?? FAKE NEWS. Some troll dreamed up an ridiculous extreme price to create an phony issue. Pathetic media jerk. 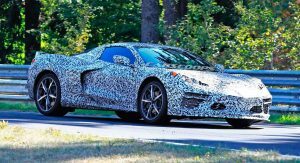 I’m sorry but the new C8 is ugly. It looks generic. Most of it’s dimensions are wrong and it looks goofy. Just my opinion. I agree! And with $170K to play with I would not be looking at this car. Behold, the Buick Reatta or Cadillac Allante! For this kind of money, no one will buy a Chevy. 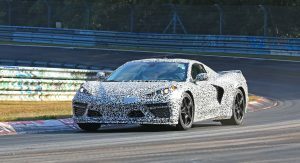 And it will dilute the perceived value of the “poor man’s” Corvette. Won’t cost $170 large. That’s a silly rumour. I’d choose the R8 (because it’s owned by none other than The Iron Man).. LOL… (but seriously, i love the sound of the V10. 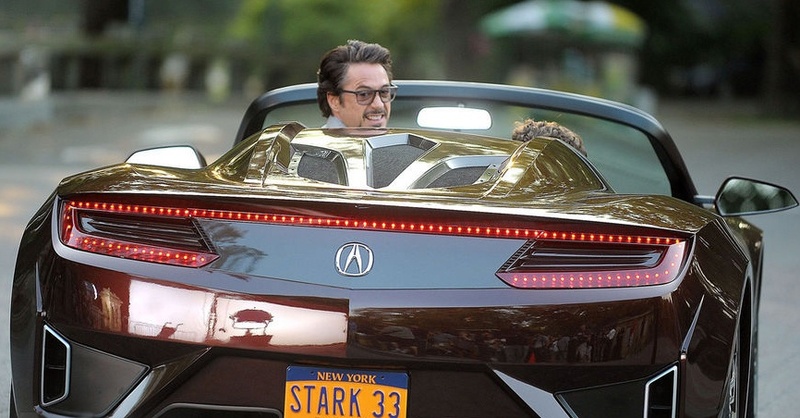 AH but.. the NSX (albeit was the convertible version) was also owned by Iron Man as well. (ok maybe it was also a pre-production prototype, but it was an NSX. (I really wish they offered it in all of the colors they showed it off in during those first few years, opposed to only offering it in the red color). … but HEY Iron man lol. 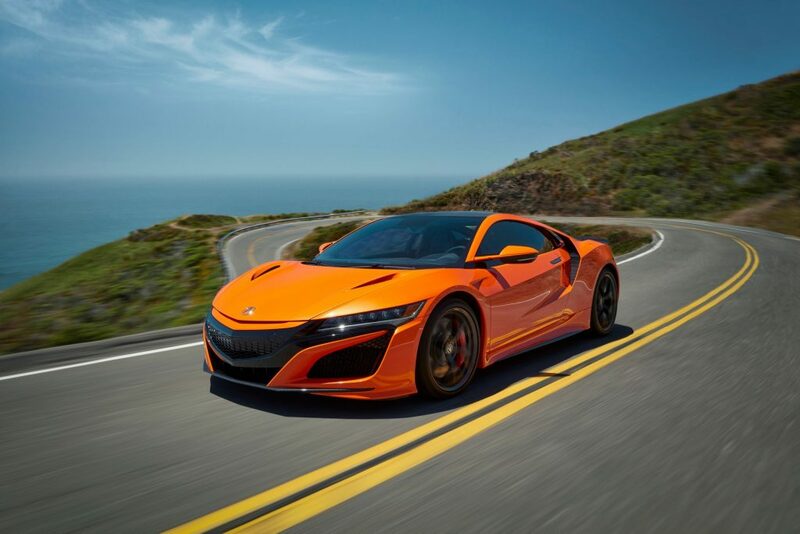 Seriously though, I would personally pick the current gen NSX over the current gen R8,. 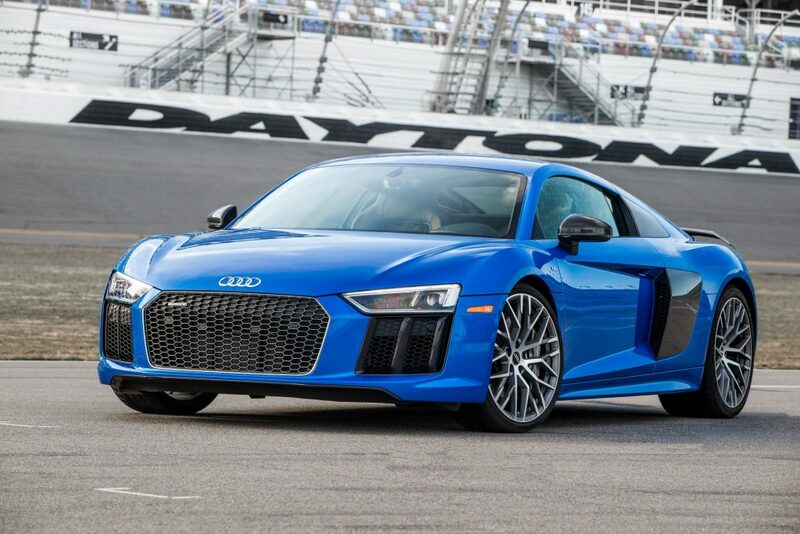 BUT if your comparing the 1ST GEN R8 against the NSX, I will take the R8 any day (the original Iron Man car). 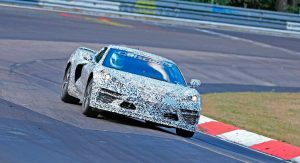 A md enigend car with established super car pricing is everything a Corvette doesn’t stand for…. 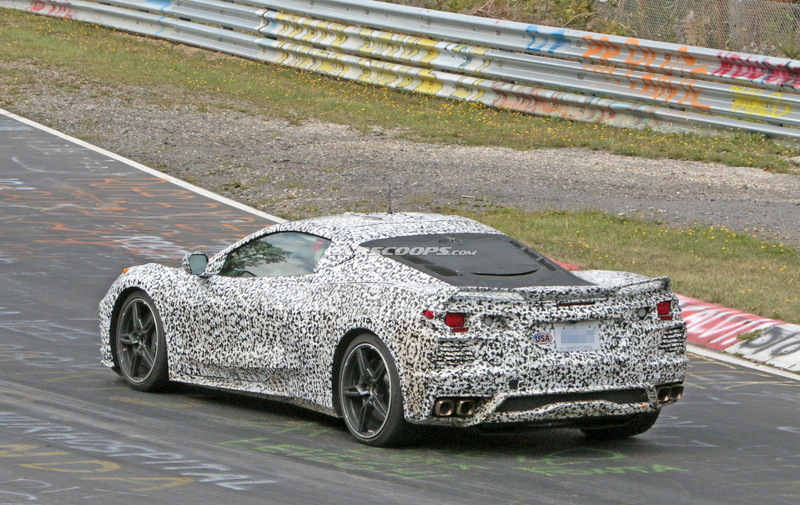 The way I look at it is none of these cars were able to better the C7 Z06 at the Nurburgring! 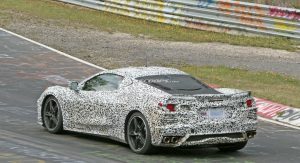 I don’t think GM would make the C8 to be less competitive? Not to mention the maintenance costs of the other cars and warranty length. 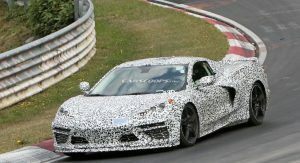 I will definitely be looking to purchase the C8. For 100,000 miles all you need are oil changes, can’t beat that!! Nope, it will still sell just like it has. All of these cars listed are cheaper than the Ford GT and it still sells. Why was the Tesla Roadster not on this list? 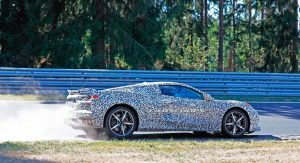 You could say it’s not in production, yet but neither is the C8. 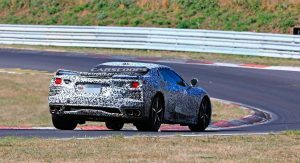 While the C8 there is approval that the vehicle will be out in the next few months. Where as the Tesla roadster (purported for 2020) may not (with Tesla still not having produced their $35k model yet, the Model Y on the way, amongst other financial and legal concerns,) be available in 2020. We may only begin to see it on the roads sometime between 2020 and 2022. 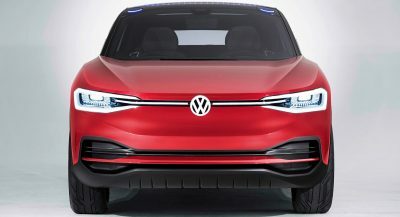 (Also the version of the Roadster that was shown (and that has been highly publicized) is not the production vehicle, but rather a concept vehicle (that they will try to produce as is) with the only ‘read’ technology being the full prototype technology underneath. Nothing against Tesla, but if your wondering why it’s not on the list despite it being quite impressive, those may be a few reasons as to why. Next PostNext New Ford ‘Baby’ Bronco: This Is (Likely) It, As First Photos Slip Out Early!